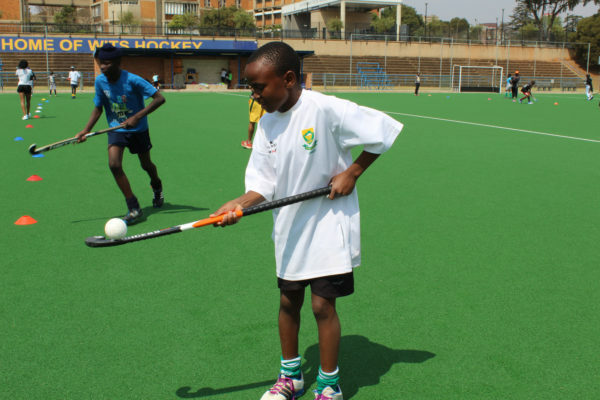 A GROUP of about 50 young hockey players, aged between 12 and 14, were taught the skills they’ll need, to make it to the top of the game, at the Wits Hockey Development Project this weekend at Wits’ Parktown campus. It runs from September 30- October 1. Madilonga also said that he would like to continue playing hockey as it keeps him away from the “Kasi stuff”. 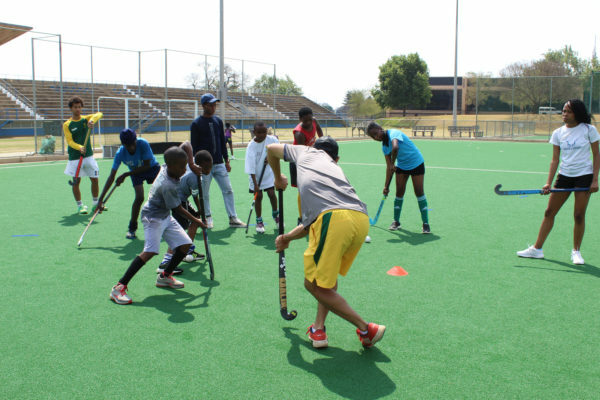 The project, headed by chairperson of the Wits Sports Council, Kamal Ramburuth-Hurt and coach of the under-21 Gauteng hockey team, Tsoanelo Pholo, aims to assist and develop the hockey skills of young athletes between the ages of 12 and 14 years old. These young athletes come from economically underprivileged backgrounds. Thabang Modise, one of the project’s coaches and a Wits Hockey player, said he wants to get the athletes to enjoy the game first and develop their “technical ability”. “For me, it’s getting them to enjoy the sport because we lose so many players because they enjoy soccer or rugby more. After that, it is technical ability [to develop their skills]. If they can just get the basics down, than they should be set for the future”, said Modise. Hockey coaches from high schools and a representative from the Southern Gauteng Hockey Association were expected to visit the camp to scout for talent, said Ramburuth- Hurt.